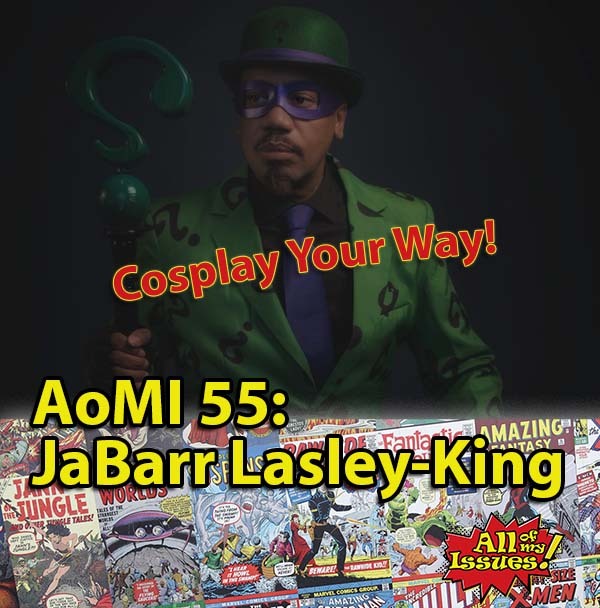 AoMI 55- JaBarr Lasley – All of My Issues! What do we think is better Buffy the Vampire Slayer or True Blood? Find out this and other things in this episode! Check out his cosplay page after you’re done listening to this episode, and you can see JaBarr in action with some great examples of cosplay. If you are going to be at this year’s Dragon Con in Atlanta, you can even meet him JaBarr Lasley in person. You can find additional info at the links below . . . Thank you for this wonderful interview. You all at All Of My Issues were so easy to talk and this was a thrilling experience. I appreciate everything that you all are doing…thank you.